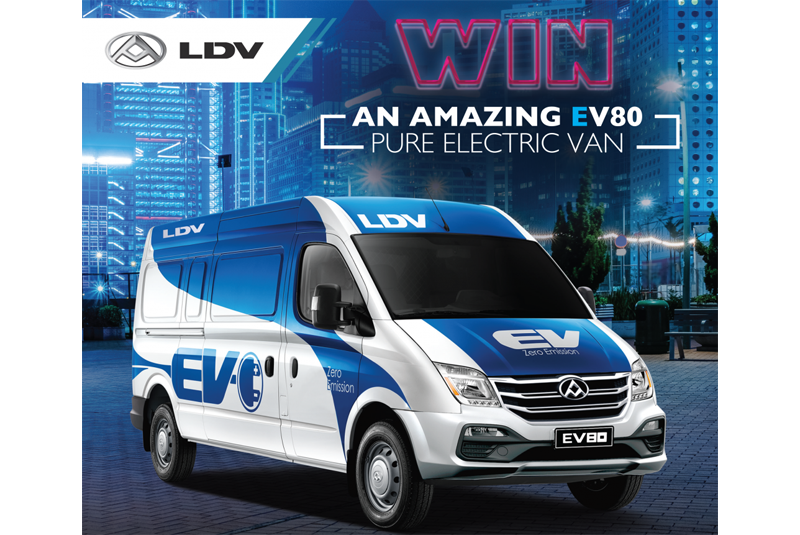 LDV is returning to the Commercial Vehicle Show this year and to celebrate its attendance, where it will showcase its latest range of zero emissions goods vehicles, it is giving away a brand new EV80. The first electric vehicle launched as part of the LDV range of commercial vehicles, the EV80 boasts a 120-mile range on a single charge and, thanks to the high-capacity lithium battery, can be fully charged in less than 90 minutes. It is described as an outstanding vehicle for city driving and is already being used by delivery and utility companies, together with selected city councils, all over the UK.